It seems the 19th century was the Hey Day for the wrought and cast iron industry – extremes abound, from the Stately Mansion with its huge ornate gates to the utilitarian type railings alongside the boundary between two fields – in fact just about everything seemed to get surrounded. Tombs in graveyards, pleasure grounds, and monuments. Piers were guarded and trespassers kept out for fear of impalement! Everything was going along smoothly, even the 1st World War seemed only to temporarily stem the flow of orders. Unfortunately the 1st World War was followed by the 2nd and then we were told the metal was needed – railings and gates were chopped down with the acetylene cutter like a chainsaw in a forest and nowadays examples of Garton & Jarvis’s and Garton & Kings Railings and Gates are hard to find - but – our dedicated sleuth photographer has been out and about the highways and byways of Devon & Cornwall and we are able to show you not only some of the original drawings that still exist but also the real article, still in place guarding house, home, church or monument. The absence of railings is particularly noticeable nowadays – the Cathedral green was enclosed by railings – large gates hung on pillars at Bull Meadow and Heavitree Park. Bartholomew Graveyard was surrounded by railings but the ones on the east and south sides are gone – all there is to see is the lead filled holes where the were secured into the stonework or the disused hinge pins embedded in pillars where once ornate gates proudly hung. 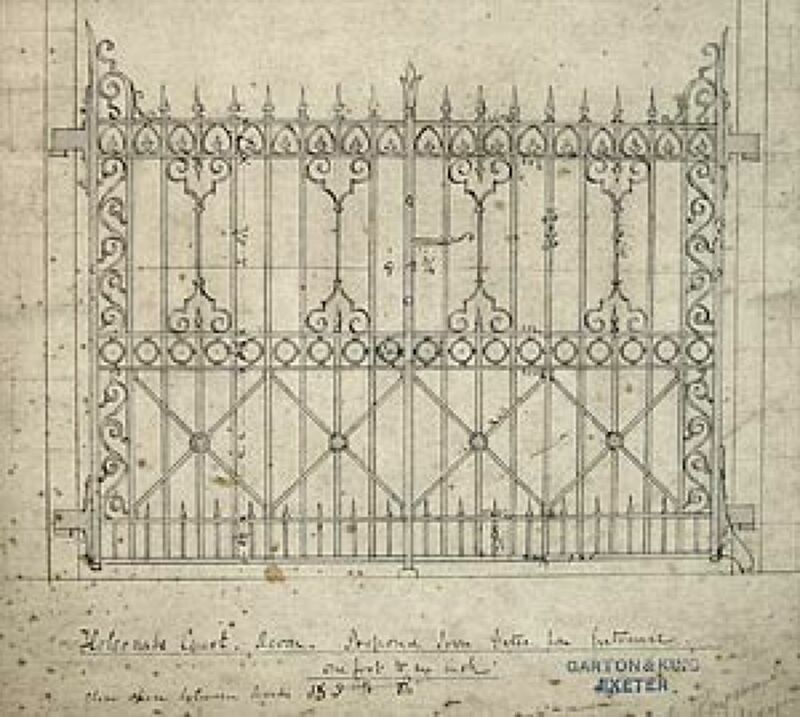 My first, and to date the most ornate set of gates, was discovered at Little Silver in North Devon in 2006 and to date it is the best example of Garton & King’s gates that I have seen that still exist and for which I have the scale drawing. Other examples will doubtless crop up from time to time but here is a small selection of past and present and some intricate and detailed and very skilful drawings that shouldn't be hidden away. 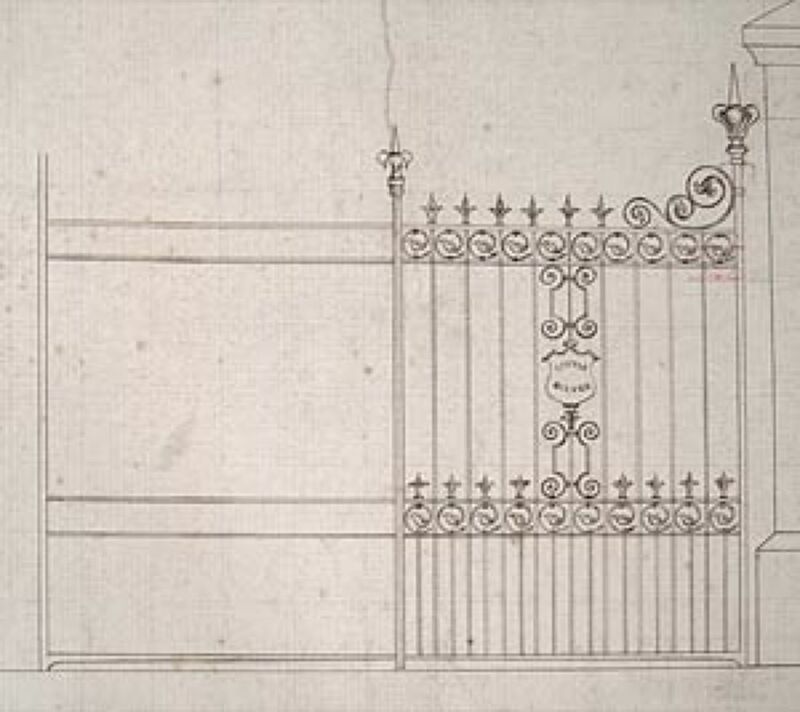 Design drawings for the wrought iron gates made for Captain Barton at High Bickington. 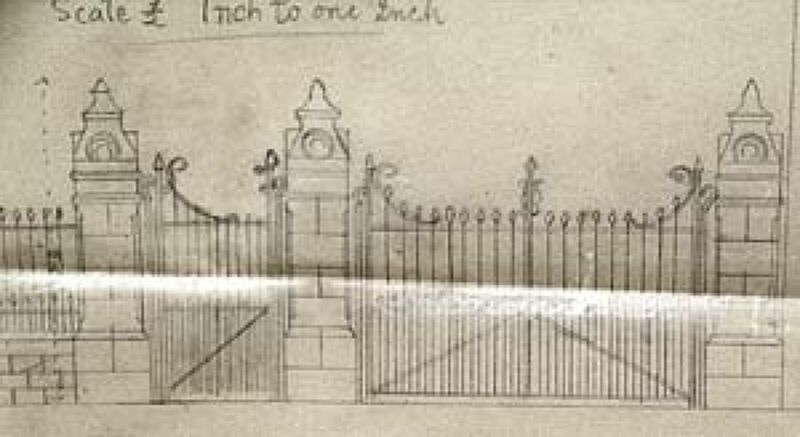 The first I knew of these gates was when I saw the Drawing amongst the numerous draughtsman’s drawings in the Record Office. A Google search came up with the location and a tongue and cheek drive resulted in finding them there still in all their glory – The acetylene torch wielding workmen of the 1940s had, perhaps, got lost in the Devon lanes and the gates were reprieved! 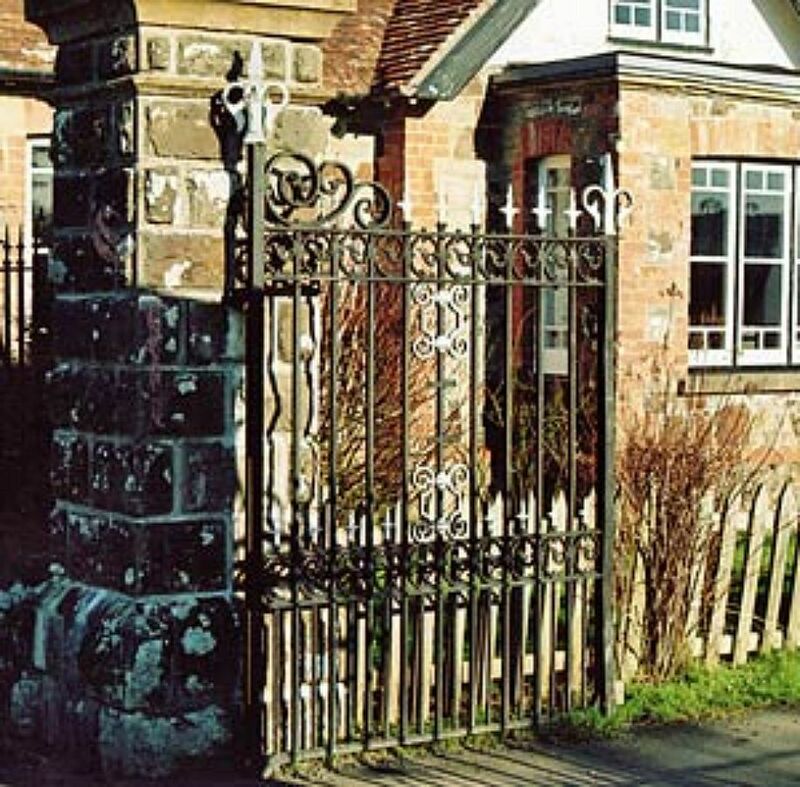 Garton & King not only made the fine gates but also the equally ornate and matching Railings. 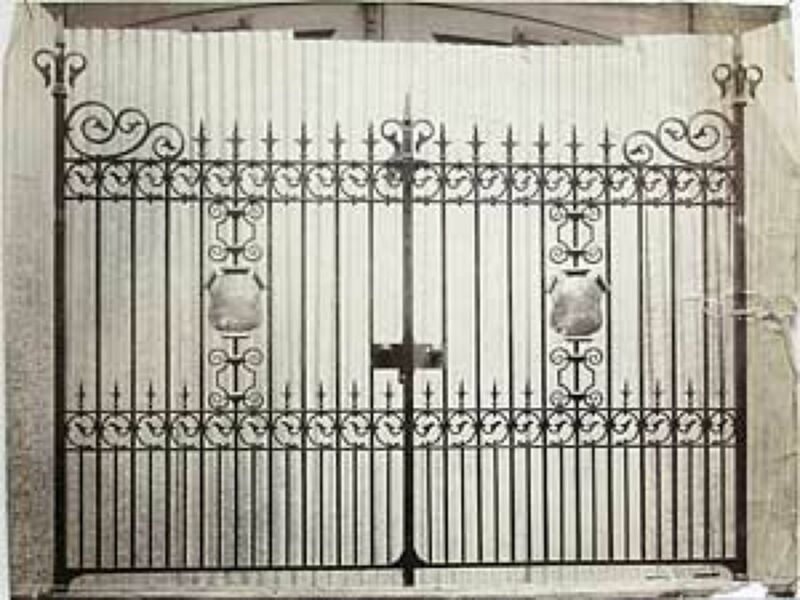 The Icing on the Cake was discovering, in July 2009, that an untitled photograph from amongst scores in the archives showed a set of gates proudly on display outside (since verified by further research) the Waterbeer Street Premises and place for the photographer to capture prior to delivery and hanging, they are of the Little Silver Gates as comparison will show – who disappeared off with the Little Silver Gate Shields I wonder? There were drawings for the Greenhouse, the Company sold the owners the cooking ranges (see section COOKING & HEATING) one of the pair originally supplied still remains where it was first installed. Outside the gates still guard the entrance and you can see the plan drawing and a photograph of them still in place in 2007 as I am sure they still are in 2009. This is a gem of a place – not just architecturally but also from the point of past owners being good customers of Garton & Jarvis as well as Garton & King. This church, which is north of North Tawton in Devon, dates back to the 10th Century. It is described as “... having one of the simplest and most unsophisticated country interiors in the whole of England” Unspoilt by Victorian “restoration". 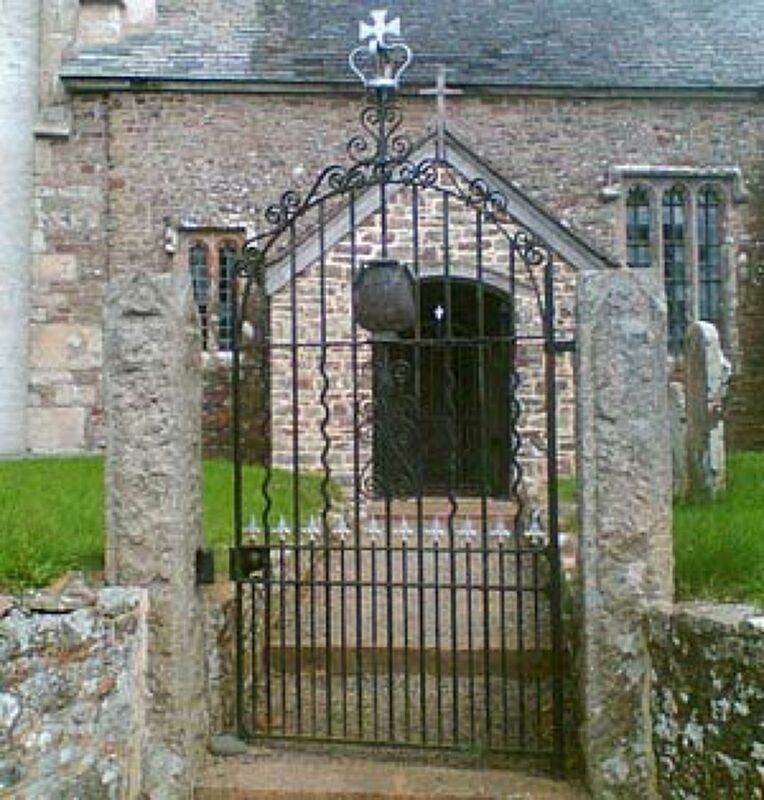 One thing Victorian is of note is the Gate to the Graveyard for which the congregation no doubt contributed as it is a small parish of some 607 acres and without a Squire. 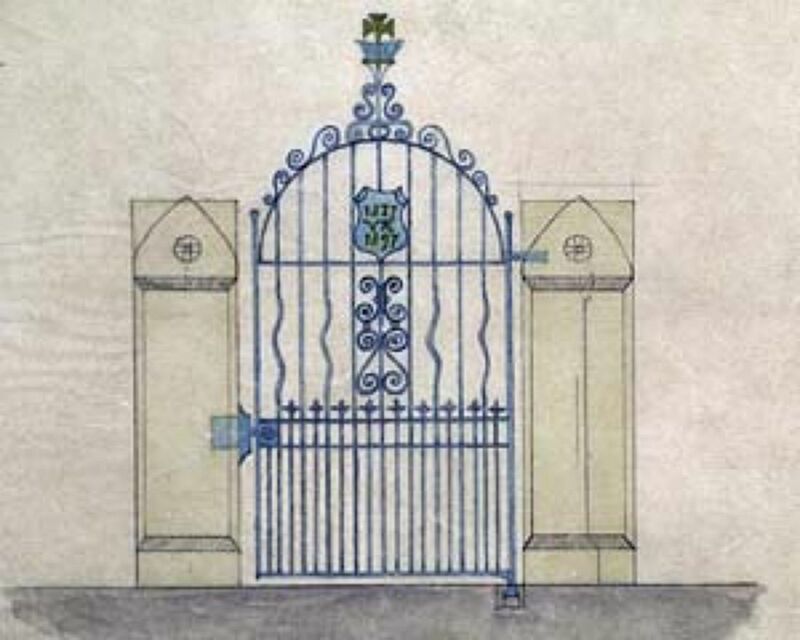 A Drawing of the Gate appears amongst the records saved by Henry Holladay although no details of the location were given. 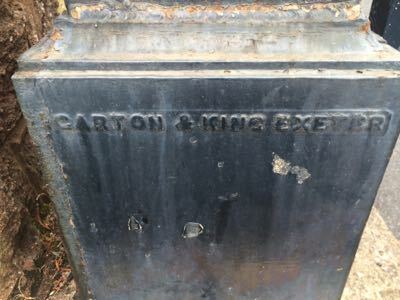 In 2007, I visited the Devon Record Office and glanced through the collection of plans and drawings and this caught my eye, on returning home that evening I realised that I had seen the gate in reality many times without knowing its connection with Garton & King – why? – I was living at Middleton Farm, the property immediately adjacent to the church, less than 50 yards away! This gate commemorated the Golden Jubilee of Queen Victoria in 1887. These gates once adorned the Hinges at the St Thomas Pleasure Ground but like so many examples an early end came their way in the 1940s. Those familiar with the former Main Road through Exminster will doubtless, as I have done, passed these gates as they head southwards through the village; they are to be found a few yards beyond the turning to Exminster Hill on the left hand side at 'Milestone Cottage' It just goes to show that some of the more prominent works of Garton & King still survive.My thanks to David Solman, who has recently moved to Exeter and forwarded these images on to me, shame on me that I hadn't realised they were the product of the Company. 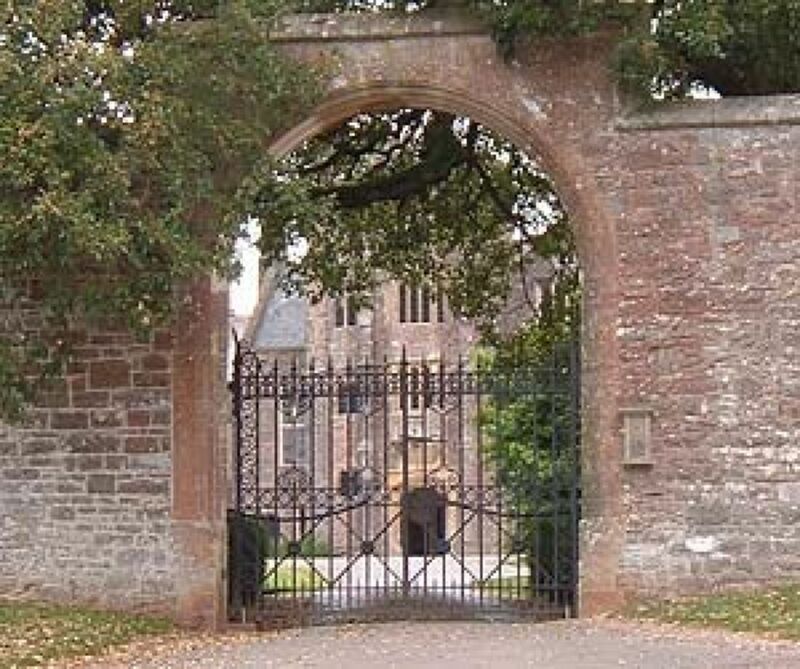 My research shows they once were the gateway to EXMINSTER HOUSE but I am unfortunately unable to date when they were erected but were presumably connected with The Palks and the Lords Haldon and a part of Exminster House's history I have reproduced below. In 1887 there is evidence that this property was in the ownership of Sir Lawrence Palk (later Lord Haldon). The occupant at the time, a Mrs Eleanor Vernon, claimed that the property was given to her in 1866 by Lord Haldon who had seduced her when she was young and by whom she had given birth to a child in 1865. Lord Haldon had offered her a property in Torquay which did not meet with Eleanor's approval so he advised her to "Look at Exminster House, I think it will suit you.. I think of you morning noon and night!...." In 1892, the property was described as being "an excellent residence, containing 7 bedrooms, 8 sitting rooms, 3 stall stable, coach house and harness room and a large productive walled garden". On Tuesday 5th October 1897 the premises were set alight. A fire had been lit in the wash-house in the morning but the fire in the chimney soon ignited the thatch on the main building and as there was a strong wind the fire soon spread "assuming alarming dimensions." In spite of the brave attempts by the local Asylum Brigade and shortly after assisted by the City Fire Brigade the fire gutted the premises leaving nothing but the outer walls standing. 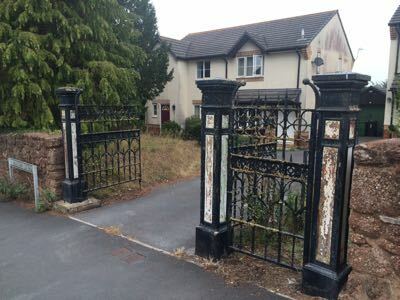 I can only presume that the premises were never rebuilt–the nearby properties are a 20th Century development but no-one lays claim to the gates They seem uncared for and do not appear on the adjacent properties' Land Registry Records. I may attempt to have them "Listed" in order to protect them for future generations.